Earlier this year, Investopedia noted that Tampa has one of the nation’s healthiest housing markets. 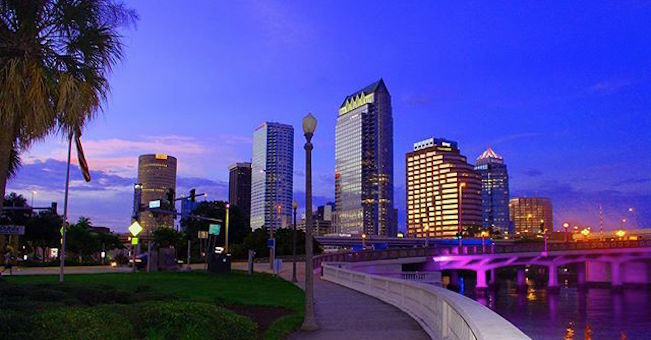 That same week, Forbes included Tampa in a list of cities with strong startup cultures. Tampa is now receiving high marks from Yelp as one of the nation’s top ten cities for economic opportunity. Yelp has unveiled their new Local Economic Outlook program which keeps track of the areas in America where small businesses have the best chance of staying open and thriving. Charlotte, NC and Jacksonville, FL currently sit atop the list, with Tampa ranking 7th overall in the nation. The high scores are hardly surprising, as Tampa’s burgeoning small business scene has attracted many innovative entrepreneurs. From the growth of breweries to the rise of the foodie culture, the Tampa Bay area has proven to be a springboard for many local shops. The Local Economic Outlook program looked at multiple data points for each business in 50 metropolitan areas, including their ratings and the number of people who search and visit their pages, map a route to their destination on the Yelp app, along with whether each business has remained open in the past year. This program is an ongoing effort to surface insights from Yelp’s deep data stores to help businesses succeed and to arm policymakers with the information they need to make effective change that will boost local economies. By providing real-time data, users will be able to see the impact of policy and programs immediately, as well as allow both consumers and businesses to understand why preferences are shifting or businesses are in decline or boom.